OTTAWA — Three new members are being added to the Senate, including the top official who organized this year's tumultuous G7 summit in Quebec and an award-winning journalist from Edmonton. In a statement, Prime Minister Justin Trudeau says the three appointees "have gained a deep appreciation and understanding of this country" through their work. 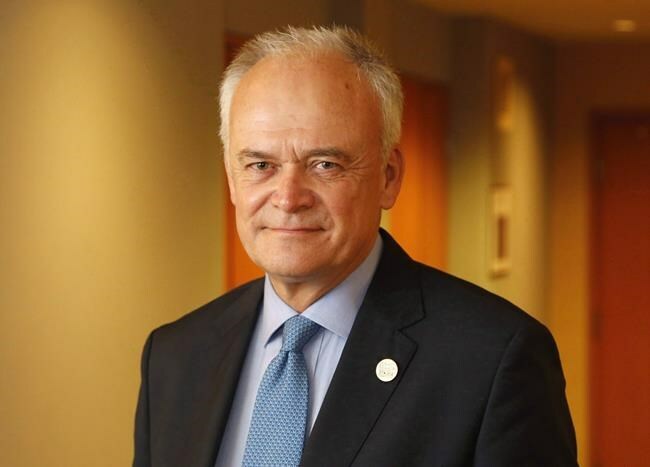 The Kitchener, Ont.-born Peter Boehm retired from the public service just last month after a career that included organizing international events and being the senior official in charge of the annual North American Leaders' Summit. His career culminated with a role as Trudeau's personal representative to the G7 summit in Charlevoix, Que., last June. The G7 ended on sour note when comments Trudeau made about trade led to a Twitter tirade from an airborne U.S. President Donald Trump. Boehm will represent Ontario in the Senate. Paula Simons, who fills a vacant seat in Alberta, will be familiar to many in the province. Simons is a former political columnist and reporter with the Edmonton Journal, and she has won multiple national and provincial awards for her work. Patti LaBoucane-Benson fills another vacant seat in Alberta. A Metis, LaBoucane-Benson is director of research at the Native Counselling Services of Alberta. A key focus of her work has been to increase Indigenous Peoples' awareness of their legal rights and responsibilities. The appointments bring to 43 the number of senators named to the upper chamber by Trudeau. The Liberals changed the process for Senate appointments after coming to office and now require prospective senators to apply for the position and be vetted by an outside panel. The final decision about who to name to the upper chamber rests with the government.